Scaffolding and fencing for industrial and light commercial needs, including construction firms, building companies and subdivisions. Scaffolding and fences for tradesmen and homeowners, for existing homes, subdivisions, rebuilds, exterior painting and any other residential projects. It's better to work off a platform. Get in touch to make your life simpler and safer. Erect Scaffolding can meet all your requirements for edge protection and is fully equipped to install this for you. Roof edge protection is required for roofing projects since the new regulations were introduced. We'll support you! Welcome to Erect Scaffolding Ltd. 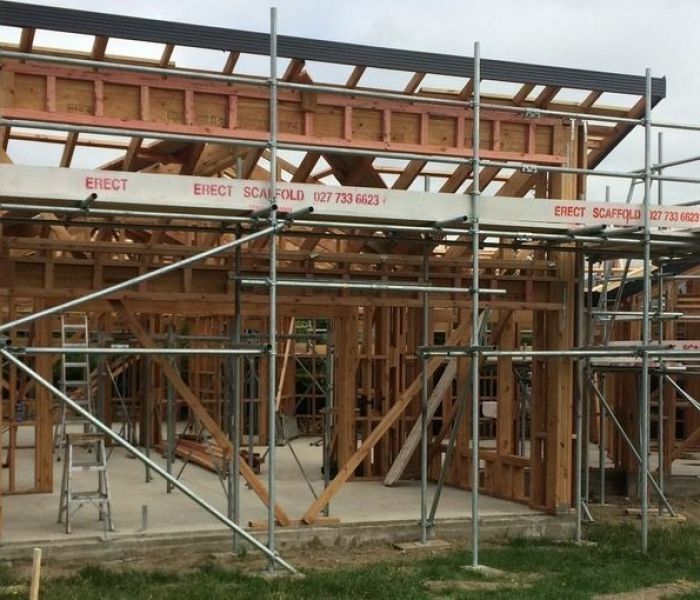 Welcome to Erect Scaffolding Ltd, Canterbury’s preferred supplier of scaffolding products to builders, roofers, painters and tradesmen who require fast, efficient and compliant scaffolding. 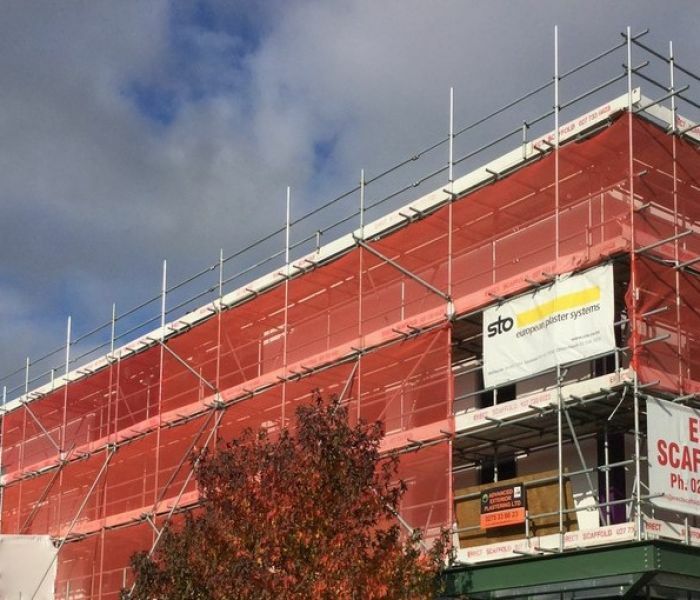 Specialists in residential, commercial and mobile scaffolds and the install and supply of on-site fencing, they pride themselves on having quality, experienced staff who are efficient, friendly and trustworthy. 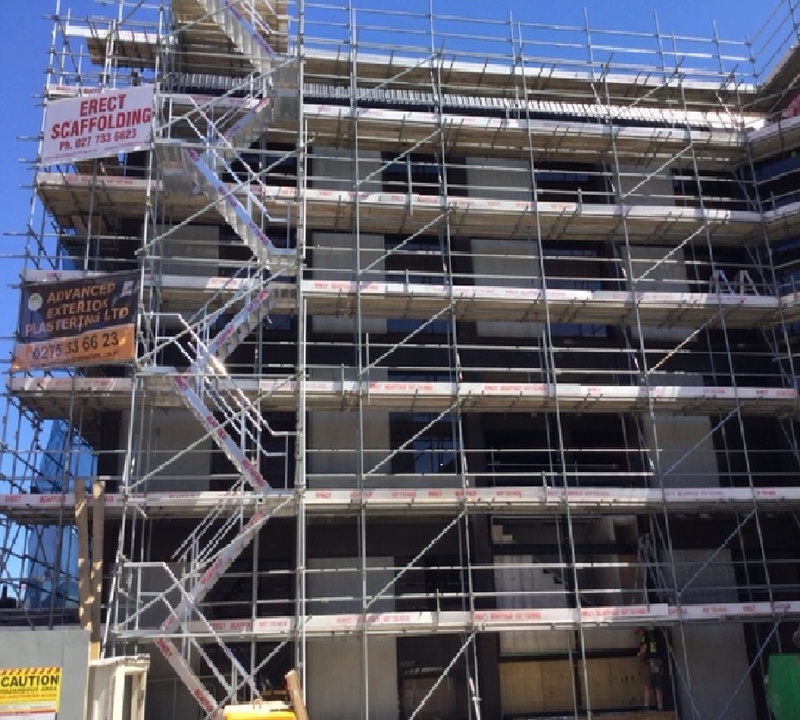 Erect Scaffolding has grown from being Advanced Exterior Plastering’s in-house scaffolding division to a company providing scaffold on commercial, residential, industrial and civil sites, from large construction projects to homeowners completing small residential jobs. 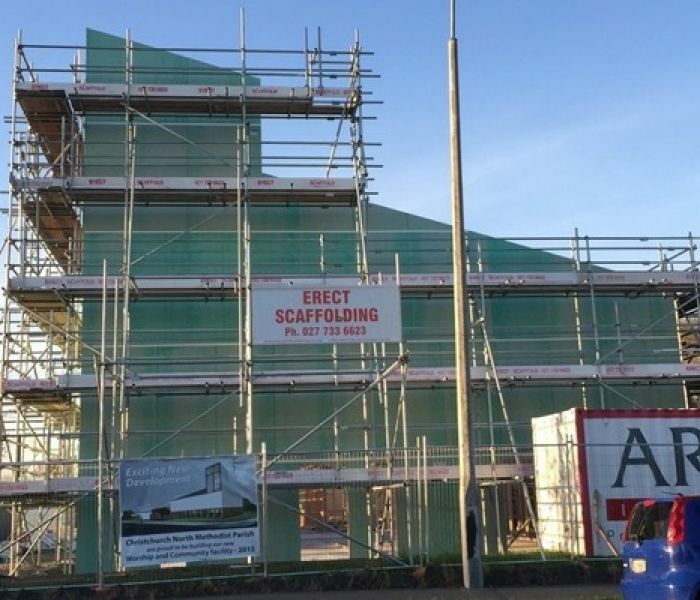 The range of services provided by Erect Scaffolding includes platforms, edge protection, mobile scaffolding, roof protection, fencing and shrink wrap and propping. 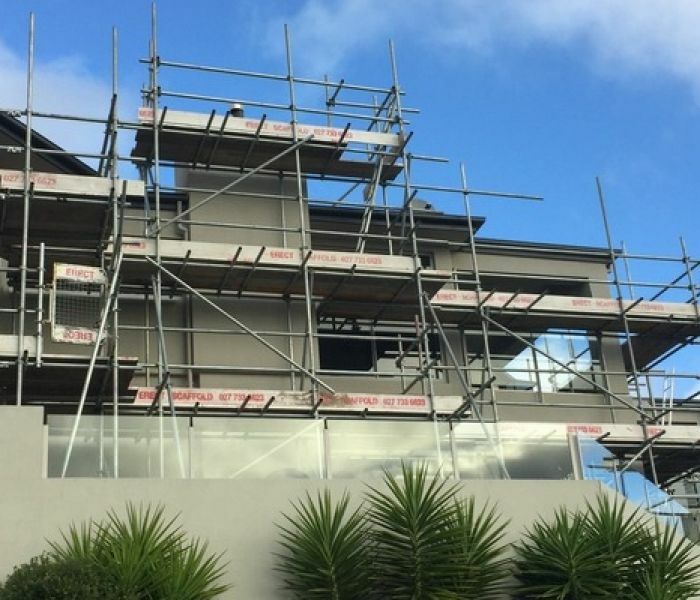 Managing Director Sebastiaan Bastiaanse said when demand for scaffolding increased following the Canterbury earthquakes, the company was approached by its regular clients to provide their scaffolding as well. 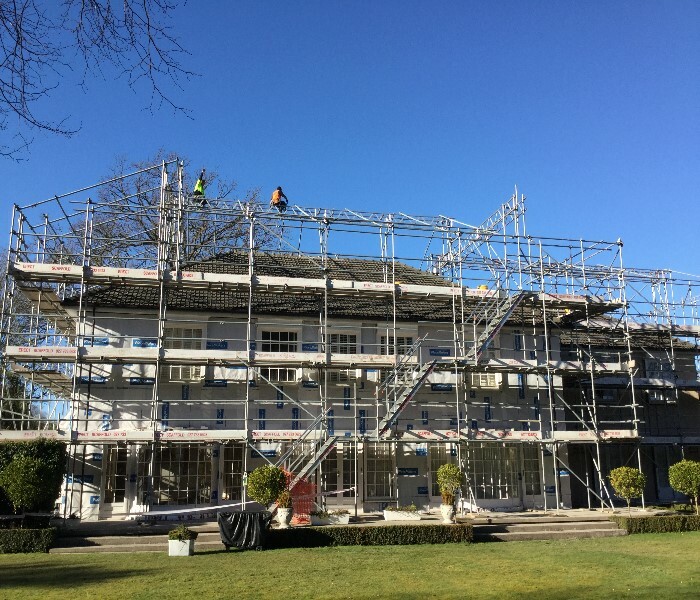 "My regular builders felt we provided an excellent service and more importantly, a fit for purpose scaffold. We build it for the trades which need it." Each team member has a Sarnz Scaffolding Certificate of Competence and a National Certificate in Scaffolding. They are also trained in health and safety and all hold first aid certificates. Sebastiaan said "... we take risk management seriously to ensure the safety of our employees, the people working on our work sites and the wider community." "We are fully committed to providing a safe and healthy working environment"